Congratzz : Localphone Contest One year Free Calls Goes to .. | Free Pc to Phone Calls, Free Voip Calls to India International ! Congratzz : Localphone Contest One year Free Calls Goes to .. The next 12 months (year!) are going to be great for one of our readers. Wondering the reason why? Well, last month we started a promotional contest in collaboration with Localphone. This contest was that the winner will get one year worth free calls from Localphone. The contest was a big success and received good response from Free Pc to Phone Calls readers. Did you participated in this contest ? Are you excited to know the results. 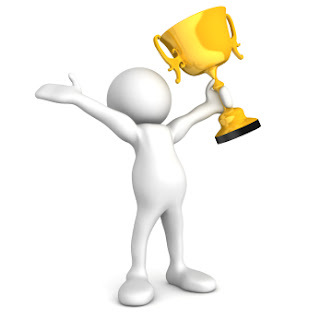 Well its time to declare the winner of the Localphone one year free calls contest. Localphone has picked a winner of the prize draw and credited their Localphone account with $144 (equivalent to a year's free calls). The Winner is : "Helene from Canada"
Congratulations to Helene for winning this Localphone contest. We wish you happy free calling! You should see $144 amount credited to your Localphone account. With this credit you would be able to make 28800 minutes of Free Calls to USA! Congratz again! Weekly free calls to some country (weekly promotions like Free Calls to Portugal, Free Calls to Canada etc). One of the best voip provider : Once a customer with Localphone, always a customer with Localphone! For our other reader who missed last time, well Localphone keeps on bringing new promotions and deals time to time. We already have another promotion lined up with Localphone. Top up $1 and get $1.50 free credit, which is the equivalent to 100 free minutes to India. Users can call any country, it doesn't have to be India. It's for new customers only on their first top up, use code PCINDIA at the checkout. We will be soon posting about this new promotion.